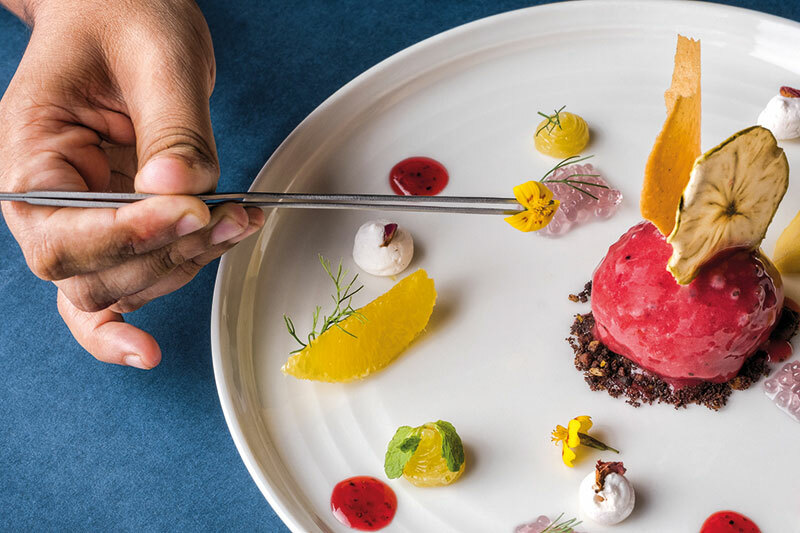 Picture French fine dining without the pretentiousness, and you have Riyaaz Amlani’s cool new venture with Nick Harrison and Chef Alexis Gielbaum. Tucked away down a little fishing-village road in Worli, a cottage — unremarkable from the outside but for the warm glow emanating through its windows — holds the cosy haven that is Slink & Bardot. 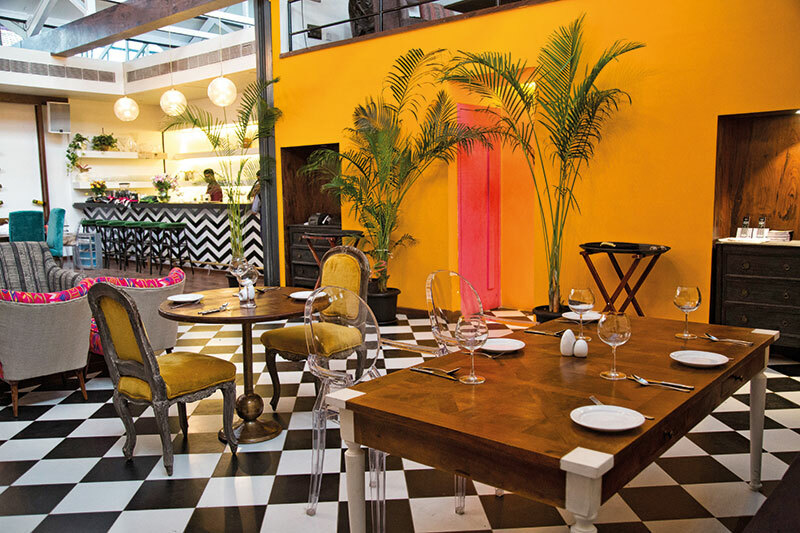 Influenced by ateliers and brasseries, designer Pavitra Rajaram has bedecked the free-flowing space with hues like teal and leaf green, checkerboard floors, muted furnishing, striped ceilings, and so much art! From cut-glass chandeliers to art deco and ceramic lamps, light plays a starring role here. A long corridor leads you into one room, then the next and then a few more, each with a distinct personality, much like a home that has evolved over years. Gielbaum describes both the food and vibe perfectly: less French, more modern-day Parisienne. 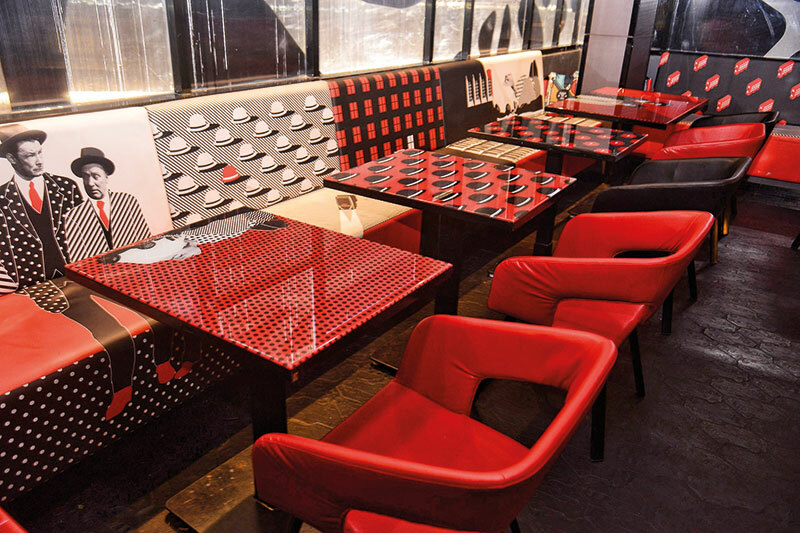 This gastropub by Sanjay Shetty, Vivek Das Chaudhary, Ricky Singh and Dhaval Udeshi features a smorgasbord of fun elements. Clearly inspired by the city it is named after, architect Ashish Kambli and Drink Water Design have paid attention to detail. London Taxi impresses right from the get-go with an illuminated facade that flaunts a rendition of the city map. 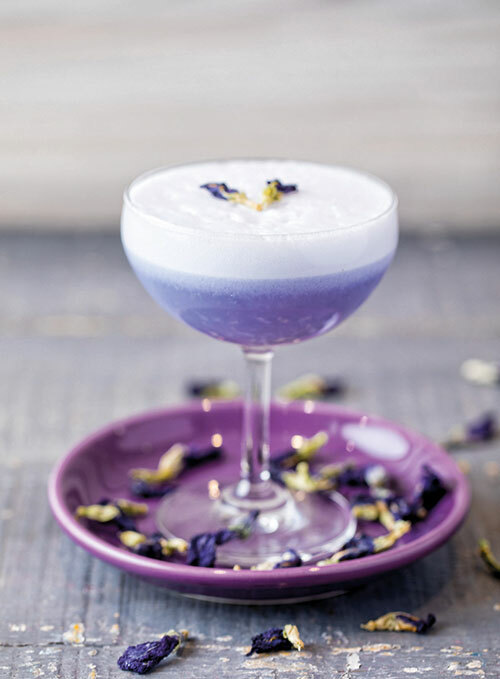 Inside, the lower level ceiling echoes underground tube stations while the barfront — where one can delight in cocktails made by India’s first female flair bartender, Ami Shroff — has been crafted out of grills. A walk upstairs introduces references to Sherlock Holmes, and quirks like an old English law that made it mandatory for cab interiors to be high enough to sit inside without removing one’s hat. With so much to absorb while relishing award-winning chef Nagraj Bhat’s contemporary creations, this is a treat for anyone with wanderlust. 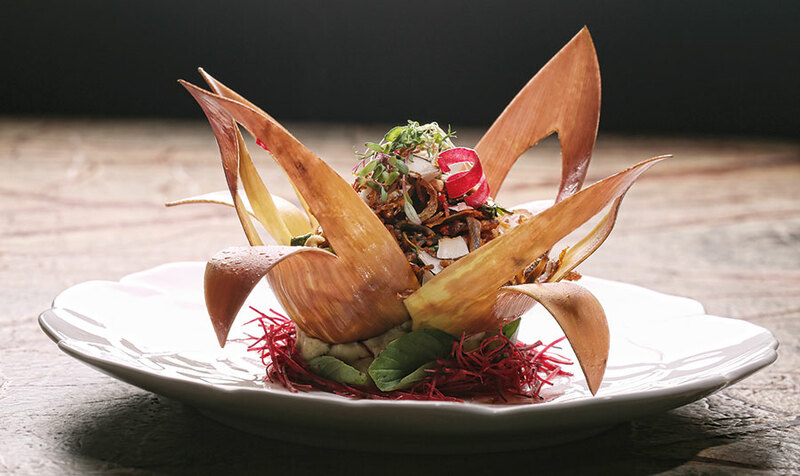 The product of extensive research on South-east Asian food and culture, Avik Chatterjee’s vision for a holistic experience will satiate even the most discerning gourmand. True to designer Sumessh Menon’s overarching philosophy, every area within POH is meticulously curated to create private spaces while still maintaining an open energy. Although the vintage design models of Shanghai and Beijing have influenced the decor, the usual red is shirked for a palette of muted greys and rich greens that captures a nostalgic oriental vibe. Textural materials like cement-finish tiles and broken brick cladding are counterpoised with wood inlays and metal walls. 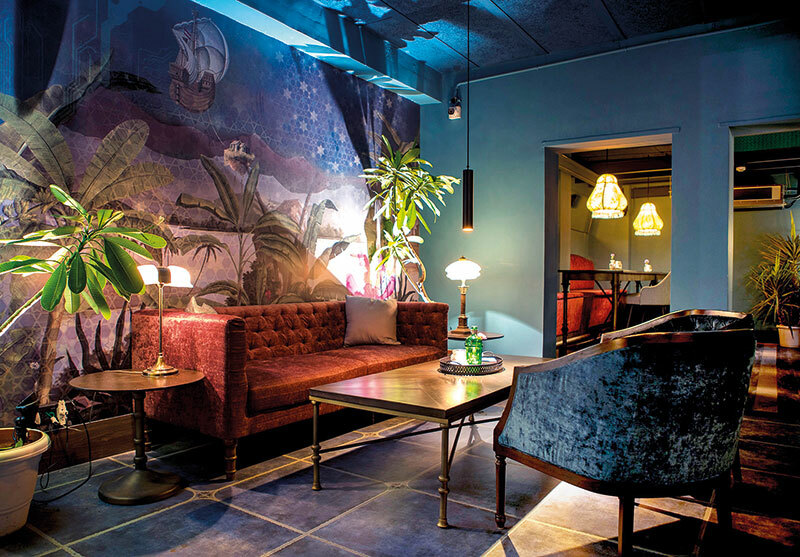 Other highlights are a wall dotted with lanterns, a striking apothecary-style bar, a lamp shaped like a Chinese fan and 18-foot-long cane chandeliers. Degustation dining shines bright here, in a sensory bubble that fuses the traditional and the modern. Anyone who wants to know how to put together a vibrant, pattern-rich space that is electrifying without being tacky should pay a visit to this Hispanic kitchen and bar. A mammoth painting of Frida Kahlo greets you at the entrance, while the cheerful natural lighting and greenery draws you further inside the buoyant eatery. Whether in the main dining area or the private one, there’s enough exoticism to go around. Contrast is key at Luca — arresting black and white flooring meets sunshiny yellow walls; eclectic furniture is juxtaposed with brightly woven and printed fabrics from South America. The high ceiling helps to create an airy ambience and the trunks and capacious sofas make one want to sit back and unwind…and the walls, inscribed with the phrase ‘why the hell not’, seem to approve. 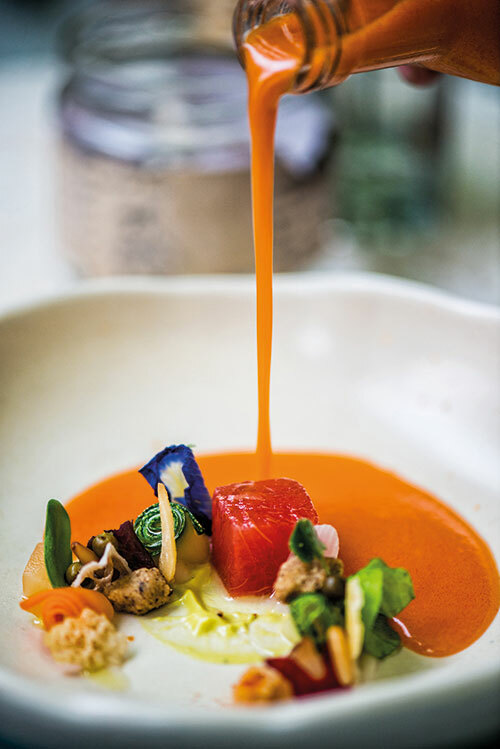 Voted one of Thailand’s best restaurants and part of an international chain, this is one that already has a cult following in Bangkok, Singapore and Sri Lanka. 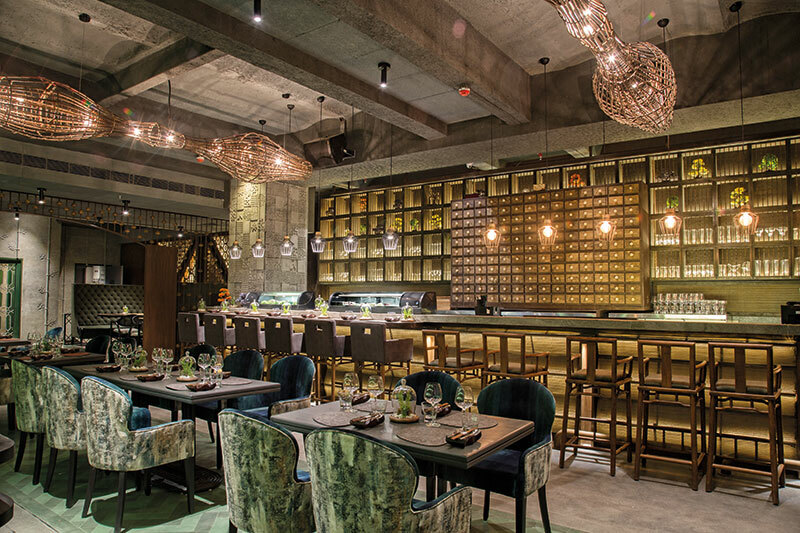 The Mumbai outpost, spearheaded by Karyna Bajaj, combines comfort food with sophisticated design by Thai interior decorator Nitipattara Yensup. 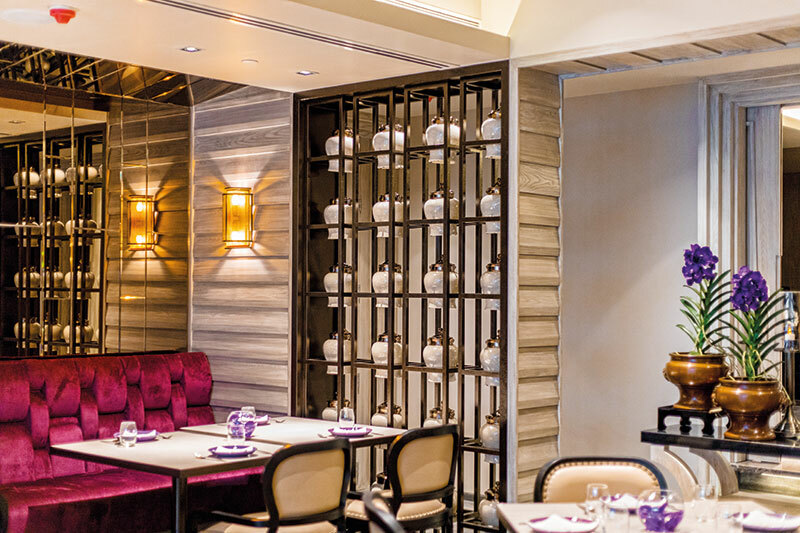 Large windows, bevelled-mirror walls and embellished lamps are accompanied by signature purple Thai orchids, silk cushions and wooden louvres that recall the ones in traditional homes in Thailand. The authentic ceiling fans are stunningly intricate, as are the motif-clad wood carvings and porcelain vases. 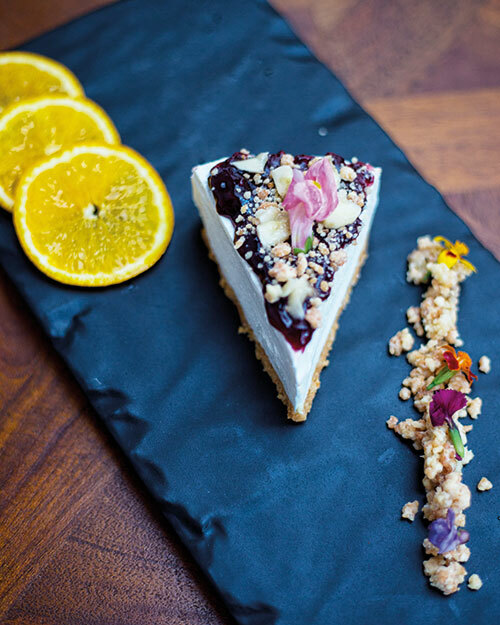 Bespoke ceramic ware in pleasing colours complement sumptuous-looking dishes, and the restaurant’s three areas share a Zen-like ambience that is reiterated by warm hospitality.